Health effects from some household products can be acute or chronic. eye and/or throat irritation, dry or roughened hands, or even nausea. Acute effects also include triggering of asthma attacks or allergic reactions. affect the unborn, and neurotoxins (nervous system effects). 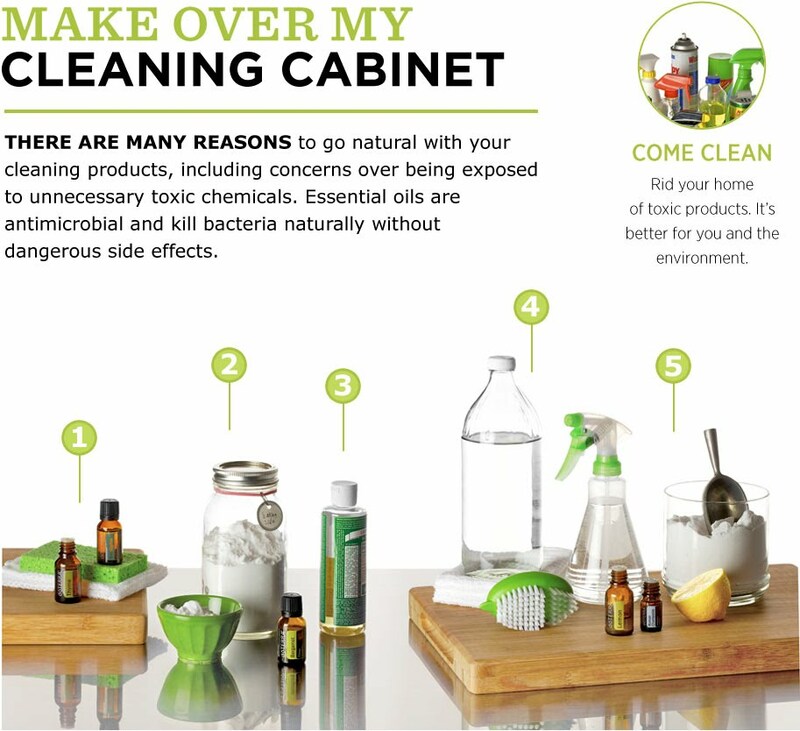 How to get some doTerra essential oils and make your home made recipes ? We provide Homemade natural product as well. White vinegar is a natural surface cleaner, window polisher, fabric softener, disinfectant and deodorizer. Baking soda provides gentle scouring for hard surfaces as well as fabric softening and deodorizing, who hasn't put a box of baking soda in her fridge to eliminate odors? Castile soap gets rid of soap scum, grease and general dirt; it can also serve as dish and laundry detergent. Borax and salt act as heavy-duty versions of baking soda, while lemon juice and vinegar shoulder the same polishing and disinfecting duties.